Upgrade to the latest version of the plugin. It seem the issue has been resolved in v6.3 of the plugin. If you can’t upgrade or disable the plugin, you’ll need to find a way to delete the plugin from you server. If you have FTP or SSH access, you can find the plugin in the content/plugins directory and simply delete it. That should get your site up and running again. In case you didn’t know, Amazon has a plugin for WordPress users that are also members of Amazon’s affiliate program. The affiliate program allows you to monetize visitors to your site by promoting products and getting a commission if users click through to Amazon and make a purchase. I think the most successful thing is to promote products that you use regularly and can write a review about. Users are typically looking for reviews/recommendations and if you already have users coming to your site, promoting products that you find useful is a great way to add content to your site and monetize your visitors. I personally find writing a review about a product that I believe in to be better than putting another ad on my site. The plugin from Amazon provides an easy way to embed affiliate links into your site. These affiliate links allow Amazon to credit visits/transactions to your account. If users don’t click on your links and go directly to Amazon, you won’t get credit. With the plugin, you can search for products and get real-time prices. There’s also different widgets and custom ad-units (but I don’t recommend these as they’re basically ads and users don’t like/click on ads). The reviews for the plugin aren’t great with a current rating of 2.5 out of 5 stars. There’s a lot of complaints about the plugin not working and functionality only working if you’re already a member of the affiliate program with significant sales. So I would recommend only using the plugin if you’re already a member of the program. The entry level with the Celeron comes at the right price-point, around $500, but reports are that the Celeron and 4GB RAM is woefully under-equipped to match the high-performance looks of the device. And unfortunately, they top of line is probably out of the price range of most buyers, around $1500. The physical configurations are also interesting, the Slate can be a tablet, a laptop with either a rigid or flexible keyboard and a tablet in tent mode. The keyboards and Pixel Pen are nice additions as well. Unfortunately, all these things are additional and will increase the overall price of your purchase. Another interesting feature which isn’t exclusive to the Slate is the support native Linux applications. You can now run Linux applications in addition to the Chrome OS and Android applications that you could previously run. This does open the door to having Chrome OS be a full replacement for Mac for software development. More on this in a future post. I personally got the i5 model and the performance has been good. I’ll save my full review for another post, but the TLDR is that the Slate is an excellent replacement for most users but probably priced too high. A better alternative would be the original Pixelbook. The current Slate doesn’t really provide a better experience. Maybe the next version (if there is one) will have a stronger value proposition or a lower price that will help increase user adoption. Here’s to the future. 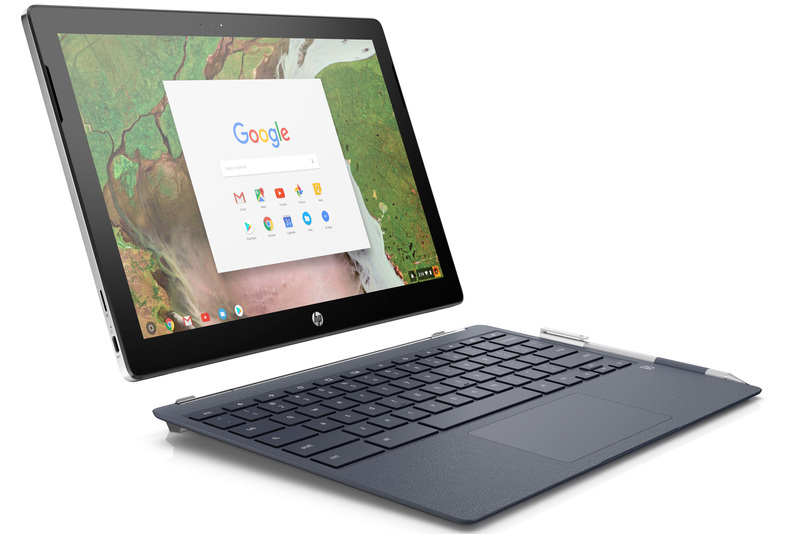 While there are a lot of options for your primary computer ranging from tablets, desktops and laptops – a Chromebook is a perfect blend for bloggers. So if you haven’t heard of a Chromebook before, it’s a laptop that runs Google’s Chrome OS. We’ll get into why Chrome OS is great, but let’s start with the physical device itself. While not universal, there are a lot of Chromebooks with a touchscreen, so you get the ease of touch navigation and a familiar tablet interface. On top of that, Chromebooks are generally extremely light and portable so you can slip one into your bag and basically blog from anywhere. And probably one of the most compelling reasons to get a Chromebook is the price. Without much hassle or waiting, you can get a Chromebook for under $200. Compared to high-end Windows or Mac machines that can cost over $1000, a Chromebook is an extremely affordable option. 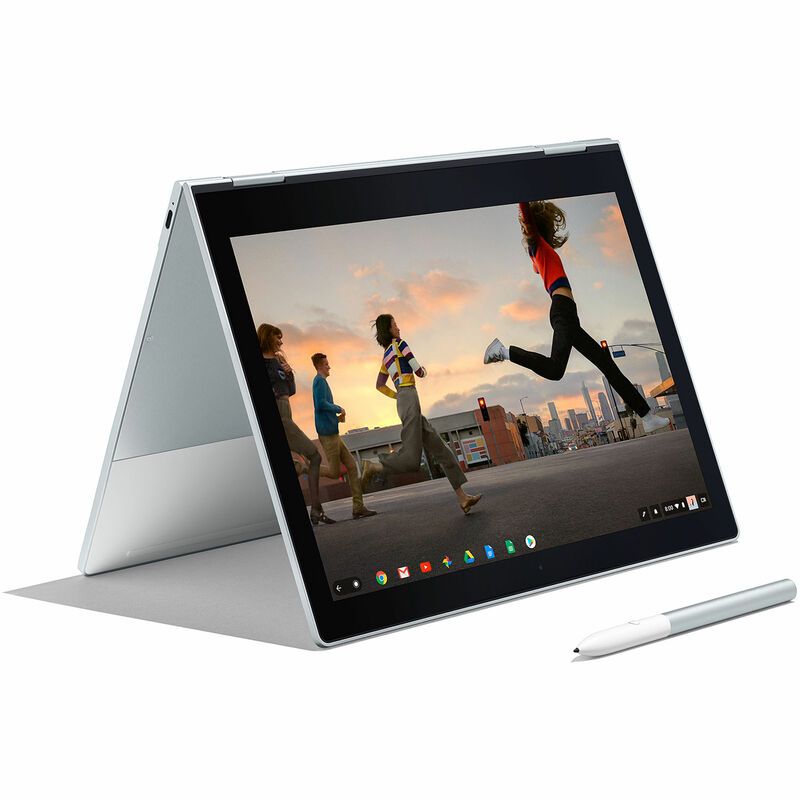 Now for Chrome OS, it’s a custom operating system built by Google that focuses the experience around the browser which happens to be Chrome. Google provides a suite of browser-based office applications like Gmail, Docs, Sheets, Slides and others. These applications provide the basic functionality everyone expects from a laptop and basically more than most people need. On top of that, you have access to a number of apps that can run inside of Chrome ranging from music players, image editing software and even games. And you can also install Android apps from the Google Play store. So, you get a cheaper alternative to high-end laptops, similar office functionality to a laptop, a touchscreen like a tablet, a full keyboard that will make typing easier than a tablet, a portable light-weight device you can carry with you and a simple intuitive browser interface. Next time, we’ll start comparing Chromebooks from top manufacturers like Samsung, HP, Acer, Lenovo, Dell and Google. After almost sixty million downloads of WordPress 4.7, WordPress 4.7.4 is available for download/upgrade. WordPress 4.7.4 fixes 47 bugs from Version 4.7.3, including an incompatibility between the upcoming Chrome version and the visual editor, inconsistencies in media handling, and further improvements to the REST API. For a full list of changes, consult the release notes and the list of changes. The exact cause is a little murky. The most likely cause for this is while you were updating WordPress or possibly a plugin, the files didn’t get updated correctly. Old files weren’t replaced or the update only partially completed. The good news it that to fix this error, you just need to do the update again. You’ll probably have to manually do the update. So if you were updating WordPress, make sure to update the appropriate files/folders (root, wp-admin, wp-content, wp-includes). But be careful not to delete your theme in wp-content. Definitely back-up your files before you start replacing things. That way you at least have something to go back to if you seriously mess things up. I hope this helps someone. If you’re still having problems or need help, leave a comment and I’ll try to help. But I also recommend checking on the WordPress Support Forum – lots of super helpful and smart people. And if you already host your own WordPress instance or want to start, check out my list of Best WordPress Hosts. There’s another update by the WordPress team. The last update was back in January, so it’s been over a month since the last update. I definitely recommend upgrading as soon as possible. I had not updated my system and hackers were able to compromise my site and publish their own content. It was easy to revert the content, but it was not a great a feeling knowing someone had updated my site without my consent. Details on the update below. I encountered another error causing my site to not load and blocking me from logging into the admin console. So if you’re getting the following error in your logs, keep reading to learn how to fix the problem and get your site up and running. Once you’ve done that, your site should be active again and you should be able to login to the admin panel. We have an update from the WordPress team and WordPress 4.7.2 is now available. This is a security release for all previous versions and we strongly encourage you to update your sites immediately. It’s great to see another update addressing some fairly serious security issues. This is a good sign of well-maintained software. Kudos to the team over at WordPress. Download WordPress 4.7.2 or venture over to Dashboard → Updates and simply click “Update Now.” Sites that support automatic background updates are already beginning to update to WordPress 4 look at more info.7.2.